Our parking lot is located directly in front of our restaurant. There is also additional street parking on 69th Avenue (on the south side of the building) or Fisher Street (directly behind the building). Located on Macleod Trail, Open Sesame offers a wide variety of Pan-Asian cuisine. 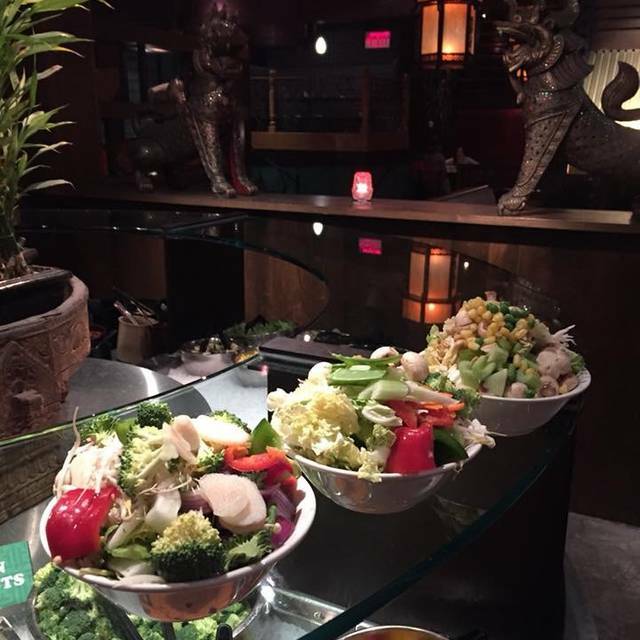 Our menu features everything from the traditional favorites, to the more personalized design-your-own stir-fry. In addition to our full bar and wine list, we offer an extensive Asian and imoprt beer list. Whether you are joining us for dinner, or just for a snack and a drink, you will find that we have something for everyone. Perfect spot for a first date! Nice ambiance, calm atmosphere, attentive staff. Casual atmosphere that calms the nerves. Dinner was good and the service was good. 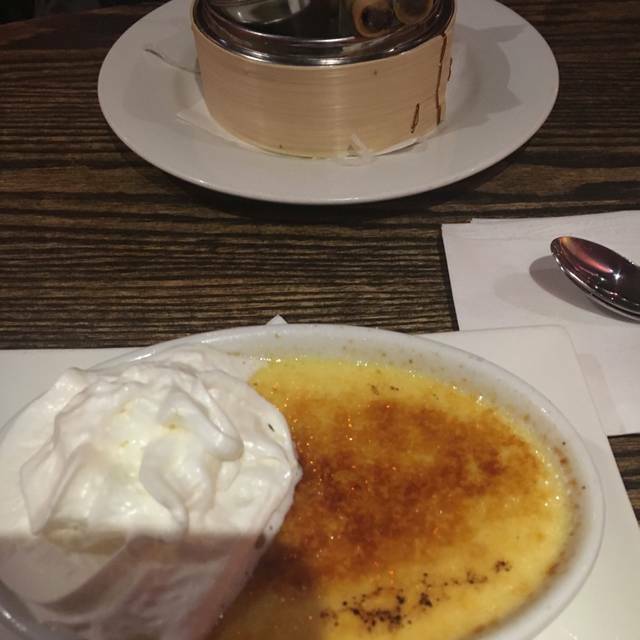 I was disappointed that I wasn’t offered a complimentary desert on my birthday. Always great! Steven is a pleasure as always. Completely unrelated to the restaurant but one in our party received a very inappropriate fortune cookie message that was quite upsetting to her. This is the second time this has happened at your restaurant. I completely understand that it’s not your fault but you may want to consider who your provider is for these! A nice place to enjoy a meal with family or as a couple.there is enough space between tables that you don't feel like people can hear your conversation. Great food I like to make my own stir-fry and the meat was nicely cooked. Much better at lunch than at dinner! We took our children and their significant others to celebrate our anniversary. It was just wonderful. We had a table in a section that provided complete privacy. Our server was Steven - he was absolutely incredible. He is professional, respectful and very good at his job. We never had to ask for a thing - he was always one step ahead with refreshing drinks, etc. The young lady who sat us (sorry I don't have her name) was also just great. The food was delicious- there were 7 of us and I think we had 5 different dishes - all were excellent! Lastly, we received a dessert with a sparkler for our anniversary - an unexpected and much appreciated surprise. Thanks to everyone at Open Sesame. There was a hair in my food, I just don’t like to cause a scene so I picked it out. My date had a ton of butter chicken sauce but very little rice. I was not impressed with our experience. Server seemed very unhappy. Not sure if she didn’t want to be at work or what. Food came out and it smelt burnt. After starting to eat my stir fry was in fact burnt. Noodles and vegetables. Not everything came out at the same time so we were half done before the wraps. Worst food ever after spending $55. This was a first and I can say it will be the last for a long time. I love this place...but you have to know how it works. Build your own bowl and that is the best bang for your buck. If you do it right, you won't be hungry. Start with flat things on the bottom and build up. Start with bamboo shoots, water chestnut slices, peas, corn, and then slowly add the chunkier things like broccoli and cauliflower as you go. The smaller the florets of broccoli or cauliflower, the easier it is to stack your bowl. You can scoop peanuts or chickpeas around the sides and they can slide to the bottom. Then top off with the large spinach leaves as they will stay on top and not fall off. By this time you should have a bowl that is piled up high like a pointy mountain. Then add the sauce and present to the grill. If you do not have a very full bowl, you will find that during cooking your meal shrinks so much that it will not be what you thought is was going to be. Always love coming to Open Sesame. Excellent staff and service and the food is always delicious. Thank you. Very nice decor, not too noisy. Good service. Good variety of food choices. Only bad marks: friend ordered meal without onions and meal can with and white sangria drink came with the sticker still on the orange slice. Overall great restaurant, would go again. The atmosphere was relaxing and waitress was fantastic. Food selection was perfect and delicious. Excellent food and service! We always enjoy the teriyaki riblings and wok seared salmon. Our server was friendly and made sure our food was piping hot. The sauces and vegetables were only heated before being added to our rice that we ordered. So the onions did not caramelize, the mushrooms did get cooked, the sauce did not get reduced, so 1/2 way through our meal we had this bowl of mushy rice and what had now cooled down to essentially a bunch of raw vegetables. It was great service. I love the atmosphere. I built my own stir fry option and was very disappointed in the amount of noodles and chicken given in the dish. It was mostly the veggies I put in. Not a very good balance. My spouse chose a dish off the menu and he loved loved loved it. I always enjoyed the build your own option but I think from now on I will choose off the menu if we ever return. AMAZING FOOD, great service love to come! Food was excellent & arrived quickly. The server was friendly, polite & attentive. This place is great. Bill for four people with appt platter, wine and dinners was only 160. You really can’t beat it for a relaxed, Asian dining experience. Stephen was our waiter and took excellent care of our needs making good recommendations and frequent (but not too) table visits. Food was all delicious and the restaurant has a fun and upbeat atmosphere. We had such a great time taking our son here for the first time. Excellent service, fresh tasty vegetables and a great drink variety. I have been going to Open Sesame for years. Love the concept and the atmosphere. In my opinion they should have a wider variety of Red wine. The service was very slow. It took 20 minutes just to get spring rolls. Our server was good but she was running off her feet. Lack of staff. Open sesame is awesome if you get their stir crazy. All the other items on the menu are overpriced. The music that was playing during our visit was rap and the music they play on the radio 90.3. If you like that then it's fine but it's not very nice when you're having a meal in a Thai resterant and you're listening to music that doesn't fit the atmosphere. That's like going to a Chinese restaurant and hearing opera. Our waiter Stephen was very professional and had great drink recommendations! I felt like he gave us a 5 star experience! (I used to work at Teatro-so I know what’s expected). The price has increased significantly though on the market stir fry, which I wasn’t pleased with, but the market looks so much more organized and well kept than the last time I came in. Great fun choosing your own ingredients for a stirfry!! The banana wontons were a yummy dessert!! Not many other customers there due to weather so next to no noise level. Not sure if noise otherwise. Great menu. Tasty food. The waitress wasn't a pest and had a great personality that made our experience enjoyable. With all the different dietary restrictions in our group, this was an excellent choice! We all chose to have the stir-fry bar, so it's your fault if you don't like the ingredients! Delicious, good service. I used to love coming here...the quality of the food was poor for the stir fry...the rest agreed they would not be coming back. This has been one of my favorite restaurants over the last decade, but the last few times I've found the prices have gone up and sadly the quality has gone down and is not consistent. Food was excellent, as always. We made a reservation and we were taken in right away. The staff was friendly and attentive. This restaurant is a family favourite! Highly recommend. This restaurant is always a good choice when one wants to try out some healthy, tasty Asian cuisine. Our server really made my 30th birthday dinner extra special! Thank you so much!